In our own new spraying booth we can realize a wide range of paint jobs as well as touch-ups. We are using the latest high-tech equipment regarding spraying as well as buffing. We can do almost all solid and opaque paint jobs in a wide variety of semi-gloss up to high-gloss as well as all kinds of Burst spraying. If your paint job is damaged, we can repair it with a professional touch-up. This is especially interesting for all vintage and historic instruments. We are using several different types of paint incl. nitrocellulose lacquer (aka “nitro”), polyurethane finish (aka “poly”), acrylic lacquer and shellac. We can also offer faithful and realistic aging if you want to make it look old. Besides paint jobs we can offer all kinds of dying jobs, using natural violin dyes from Cremona/Italy. Also all kinds of finishes with oil and wax are possible. We are specialized in French polishing jobs, using shellac based on old, traditional formulas. 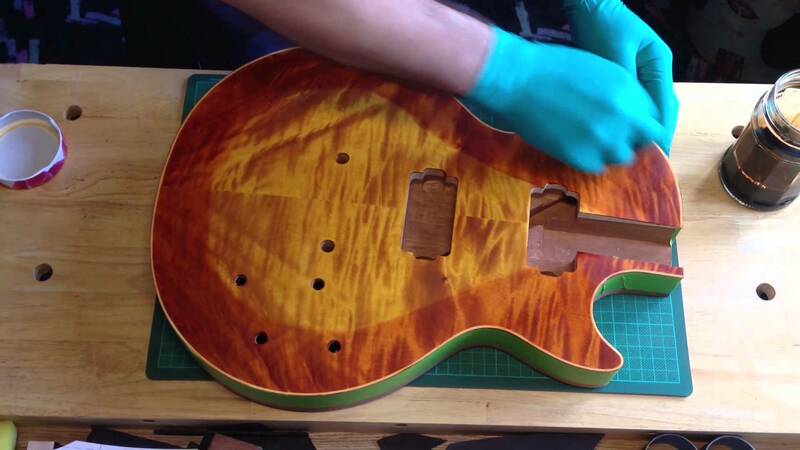 Besides the traditional polishing job by hand, we can also offer shellac spraying jobs.